Greetings from the Fish and Wildlife Research Institute! 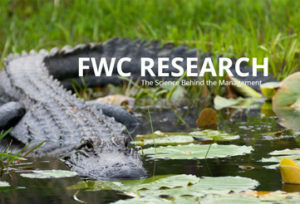 We hope you enjoy these monthly research highlights, including new videos on our YouTube channel, photo albums on our Flickr account, and updates to MyFWC.com/Research. We invite you to keep up with us on Facebook, Instagram and YouTube. As a scientific institution, it is important that FWRI communicates what we’re doing real-time and as transparently as possible to the public. One of the more effective tools we have to do that is our digital annual report which gives you an overview of the Institute and also highlights specific research work that ultimately is going to benefit wise management of our natural resources. 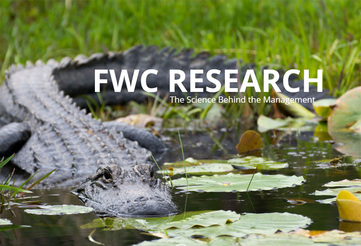 We encourage you to explore our interactive annual report, found here: fwcresearch.com. Management decisions must be driven by sound scientific information. Planning and conducting research to provide this information is the core of the Fish and Wildlife Research Institute’s (FWRI) mission. FWC and St. Johns County Sheriff’s Office responded to a manatee stranding in Vilano Beach. The manatee was showing signs of cold-stress syndrome and transported for rehabilitation to the Jacksonville Zoo and Gardens. Our mission: Through effective research and technical knowledge, we provide timely information and guidance to protect, conserve, and manage Florida’s fish and wildlife resources. GRFS carry out a dockside survey. Since April 2015, the Gulf Reef Fish Survey (GRFS), with the crucial support of recreational anglers of Florida, has provided timely and precise data to state and federal agencies that are responsible for managing reef fish. By signing up for the survey, anglers are eligible to receive a questionnaire about recent fishing activity. 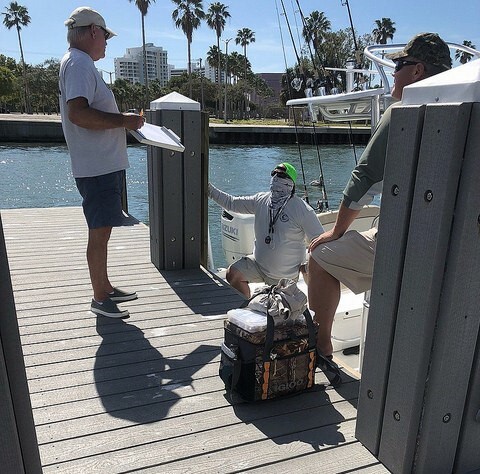 Each month, angler responses from the survey are used to estimate the number of recreational trips taken on the west coast of Florida to fish for Gulf reef fish species. By working collaboratively with NOAA Fisheries, the Gulf Reef Fish Survey produces data that is complimentary with the existing Marine Recreational Informational Program. We are only as strong as our weakest data set, and with the help of the recreational anglers of Florida, we have gathered more data than would have been possible with just the FWC. We thank our angling contributors for the success and continued success of the Gulf Reef Fish Survey. Learn about the FWC’s Charlotte Harbor Field Office, which hosts Fisheries-Independent Monitoring staff, manatee researchers and rescuers, as well as staff from the Fisheries-Dependent Monitoring program.